These Mine Power Centers are fully reconditioned unit substations that have been "lightly used" and rebuilt to the original specs. 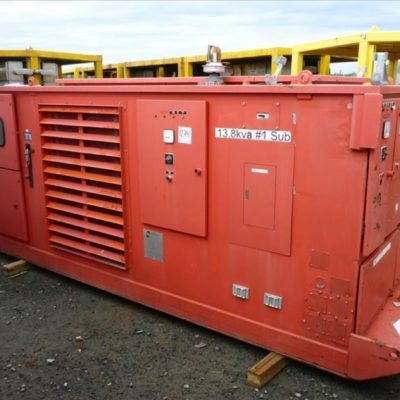 They are built to CSA standards and meet or exceed all electrical and mining code requirements. 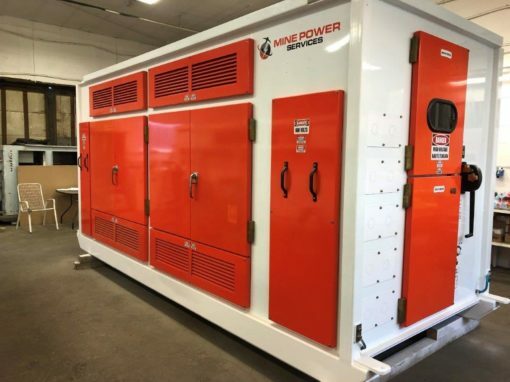 There is a full 1 year/18 month warranty against materials and manufacturing defects on these units the same as a brand new substation warranty. 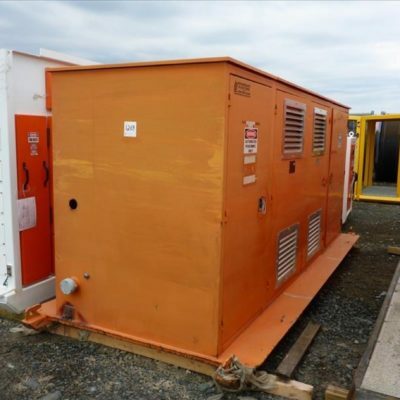 Each one consists of a robust, skid-mounted NEMA 3 weatherproof enclosure which houses an incoming 15kV load break switch and vacuum circuit breaker, a fan-cooled 1000/1333 kVA transformer, a 600V distribution section and a control section. 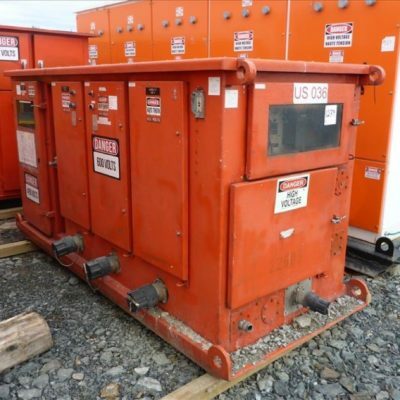 A transformer protection relay, neutral grounding resistor monitor, and transformer winding temperature controller protect the transformer from potential damage caused by faults and overloads in the downstream distribution system. 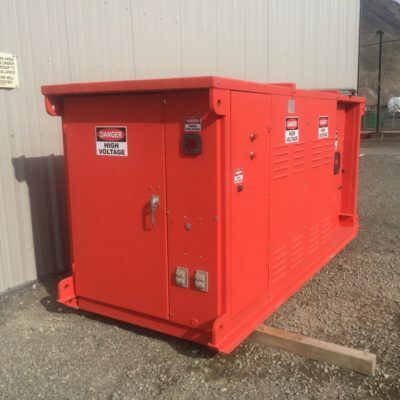 A 13.8kV-120V PT supplies the control power for metering, protection and control while a 30 kVA 3 phase 600-120/208V transformer supplies the power for built-in heaters and receptacles. 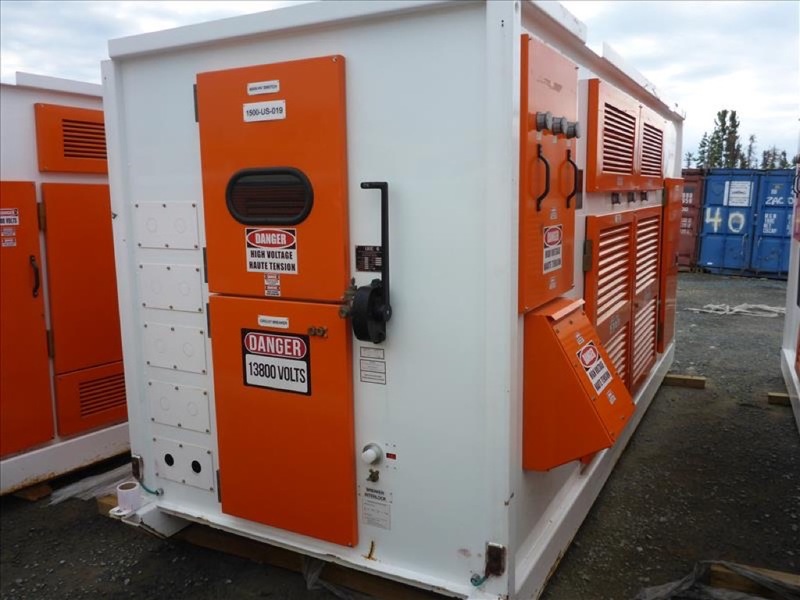 The 600V distribution system consists of 8 plug-in modular feeders c/w 400A shunt trip circuit breakers with ground-fault ground-check relays and CTs. Outgoing 600V circuits can be hard-wired or receptacles can be added for plug and play operation. 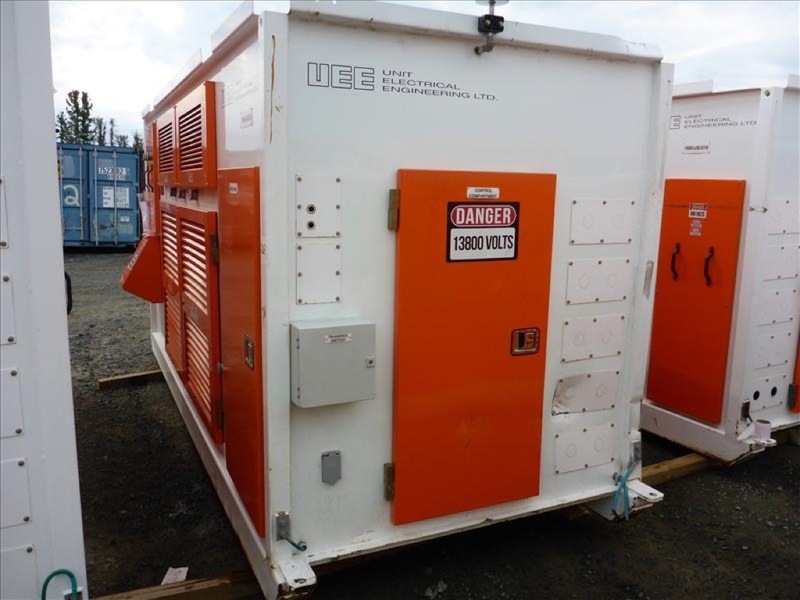 Kirk Key interlocks, IR windows, red strobe warning light, lockout provisions and all the required danger and warning labels are just some of the standard safety features that are built into these high quality unit substations.